What a month it has been for product liability issues. 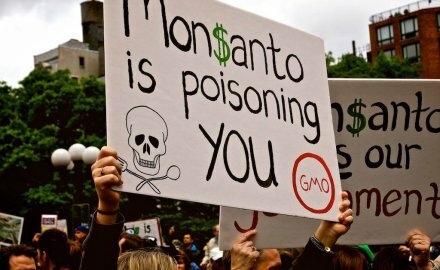 A California jury decided in a federal court this week that Monsanto’s Roundup weed killer was a substantial factor in causing a man’s cancer, while Boeing’s newest aircraft has been grounded after concerns that a fault may have played a role in two crashes that killed 346 people. In their own ways, both cases highlight how the liability issues businesses face are changing. With sales of more than US$3 billion a year, Monsanto’s Roundup is widely used by farmers around the world. It has also been shown in repeated scientific studies to be safe. In the past, that would typically have provided a convincing defence against liability claims, but in the age of social media, fake news and growing science denialism it is no guarantee that a product can be defended in court. This is a concern for Asian manufacturers, which account for a disproportionate number of product recalls in the US and Europe, reflecting the eastward shift of global manufacturing — and the resulting lower quality of finished goods and weaker safety standards. “There is a clear link between product recall claims and the shift in manufacturing to Asia and China. Product quality management levels in Asia are improving but they are not yet up with the levels seen in the US and Europe,” said Christof Bentele, head of global crisis management, Allianz Global Corporate & Specialty (AGCS), in a report on the subject. Combined with tougher regulation, this raises significant liabilities for the region’s manufacturers, which are typically insufficiently insured. Even Bayer, which owns Monsanto, has said that claims exceed the available insurance coverage in some of its multiple litigation battles. Indeed, the product liability claims against Roundup could be massive. It is facing lawsuits from more than 11,000 plaintiffs in the US, mostly in state courts. In August 2018, a state court jury in California awarded US$289 million in compensatory and punitive damages to a single plaintiff who claimed that a Monsanto product caused his cancer. Even though this was subsequently reduced by the trial court to US$78 million, the potential scale of the liability is clearly beyond the capacity of the insurance industry. Boeing’s problems may be similarly serious. If there are significant defects with the 737 Max 8, which entered service in 2017, it could easily sink the company thanks to a combination of liability claims, recall costs, business interruption and reputational damage. What was surprising about the case was the speed of the reaction. Aviation accident investigations typically proceed slowly, with painstaking analysis of the evidence and careful consideration of the recommendations. It is a process that has helped to reduce risks substantially, even as commercial aviation has grown rapidly in emerging markets, particularly in Asia. But in the case of the 737 Max 8, concerns were raised, discussed and litigated in the court of social media within a matter of days. This is not to say that the decision to ground the plane was wrong, but it highlights how the pressure on companies has changed. Managing such crises requires a rapid, sure-footed response. Indeed, good crisis management is often more important than insurance when it comes to product liability issues. Even so, Asia is still a relatively small market for product recall and even business liability insurance. In a recent survey conducted by QBE, just 16% of small and medium-sized enterprises in Hong Kong said they have the correct cover for liabilities to third parties, yet such businesses are increasingly selling to international markets through the internet. Overall, AGCS found that defective products or work is the major cause of recall claims, followed by product contamination. The average cost of a significant incident is in excess of US$12 million, with the costs from the largest events far exceeding this total. More than 50% of losses arose from just 10 incidents. The automotive industry is the most affected, followed by food and beverage, and electronics. And while companies as big and important as Boeing will probably never be allowed to go bankrupt, the reality for most businesses is that such incidents can be ruinous.